"Beans, beans the economical fruit..." A pound of mixed beans will cost about $2, and even less if you buy in bulk. I confess that I like canned baked beans. I like them a lot, but they contain an awful lot of sugar and salt and most have that dreadful porkish thingie at the top. Making them yourself provides a healthy, inexpensive meal that can be as low in salt or sugar as you want it to be. Rainbow Beans is what G-man calls the mixed soup beans. You have colourful lentils and beans in various shades and sizes. 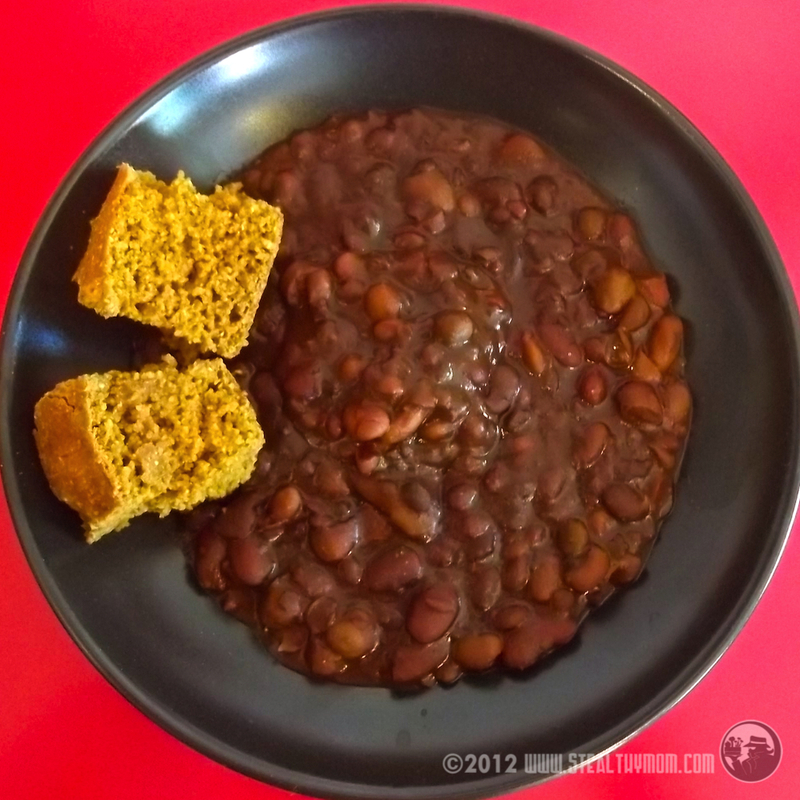 The result is a pot of beans with varied textures and a broader mix of amino acids. Look the beans over for impurities such as bits of gravel. Rinse the beans by covering them with water, giving them a gentle stir and pouring the water off. Put the beans, water, molasses, and seasonings into the pot. Cook on "Low" for about 12 hours. Salt to taste, adding about a teaspoon at a time. Notice that I did not soak them first? With the crock pot, cooking and soaking can be a combined step. You can leave for the day and come home to the aroma of fresh baked beans. I shared this post with Fight Back! Friday.